The year after I graduated from college, I packed two suitcases and hopped on a plane to México to study and teach abroad. If any of you have had the same opportunity to live abroad, you know what a privilege and a blessing it is to learn and live in a new culture. Every weekend was spent traveling to a new, unexplored area of México from the northern state of Taumalipas to the Southern tip of Quintana Roo (and nearly everything in between!). 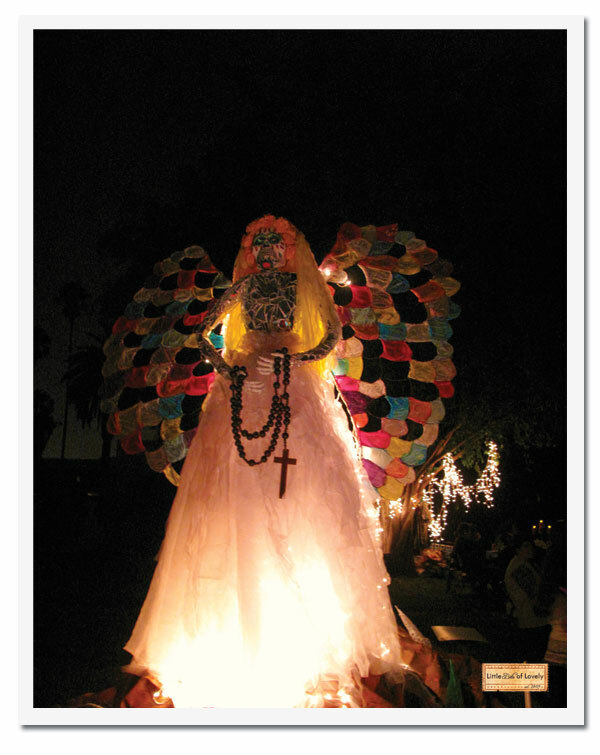 Perhaps one of my favorite experiences was my time spent in Pátzcuaro to celebrate Día de los Muertos. To roam the village streets and the panteón (cemetary) of Pátzcuaro was an enlightening experience for this American who grew up viewing death as morbid and morose.. Death, I learned, is not a final destination. 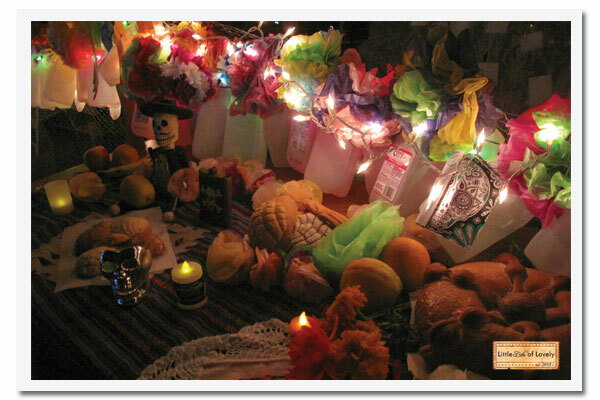 Our spirits would return to partake in the ofrendas (offerings) left for us by our loved ones on Día de los Muertos. 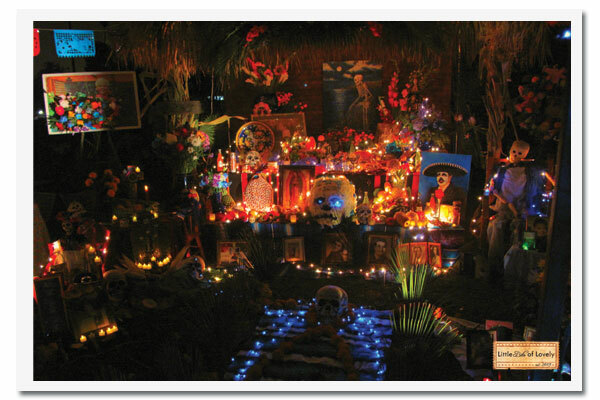 Last weekend, Hank and I joined some friends to celebrate Día de los Muertos at the Hollywood Forever Cemetary. 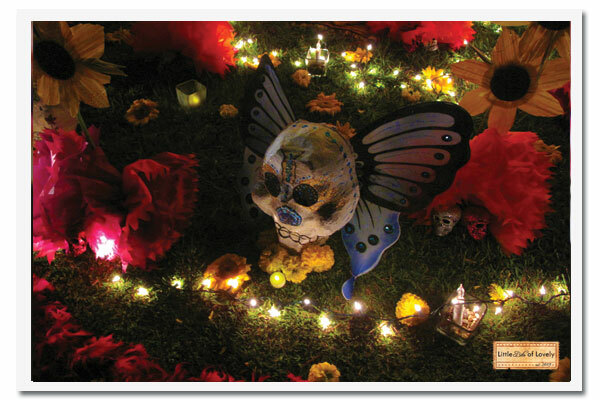 Below are some nighttime photos I snapped of some of my favorite altares (altars). An altar created to honor the women and children who died in their struggle to cross the border to the United States. 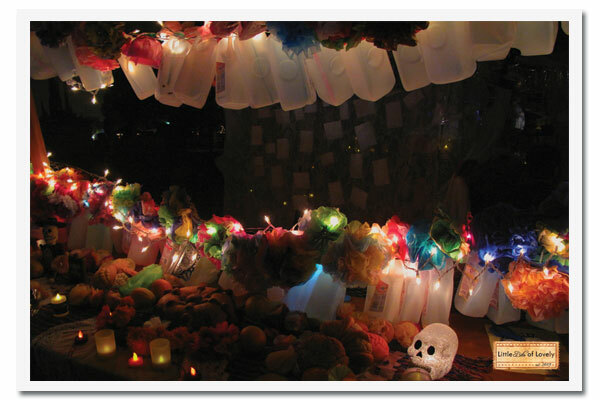 The group that created this altar used milk cartons to symbolize these tragic deaths; most victims die from heat stroke and/or dehydration. Another view of the milk altar. The translucent milk bottles looked like glassine lanterns. So pretty.